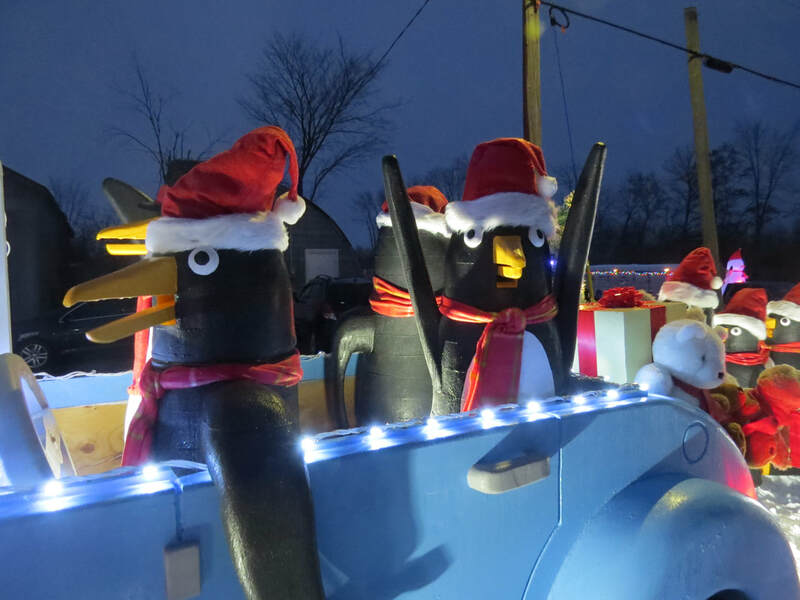 The Float Penguins - They're Driving Home for Christmas! 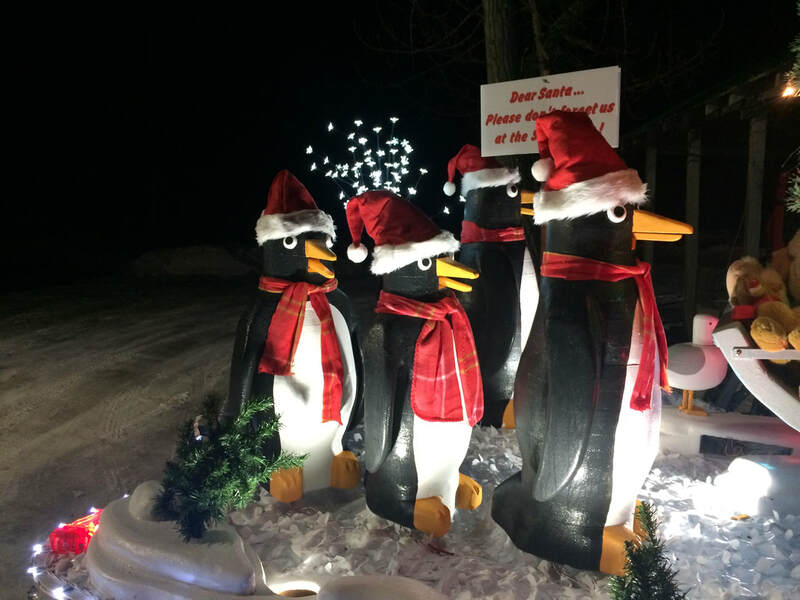 After spending the summer in the Kawartha’s it is time for this group of penguins to head back to Antarctica to spend Christmas with their families. Leaving directly after the parade they have a long trip of 14,964 kilometres ahead of them. 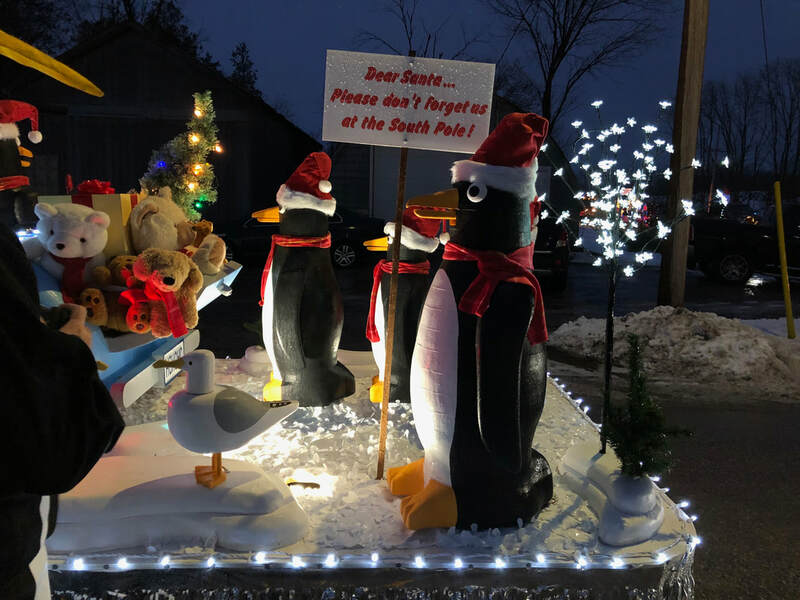 Four penguins ride in the car complete with a hula girl hood ornament, while others waddle along behind. They will have to share time waddling so nobody gets too exhausted. These guys are all shaped from polystyrene foam. Each has a motor and mechanism in their heads so that their beaks move as if singing. Previous sections describes their construction with in progress photos. I decided to finish them with cartoonish colour over a more realistic look so as to be appealing to younger parade patrons. 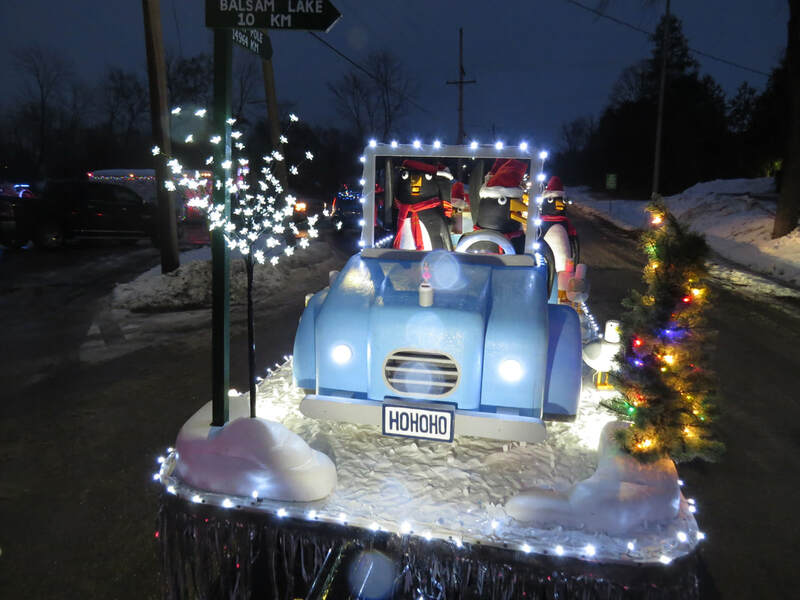 The group on the back of the float follow the car along. In the car, one penguin twists to look at the crowd, one bounces up in down with excitement, one waves to the crowd, and the driver turns head head to serve the crowd. 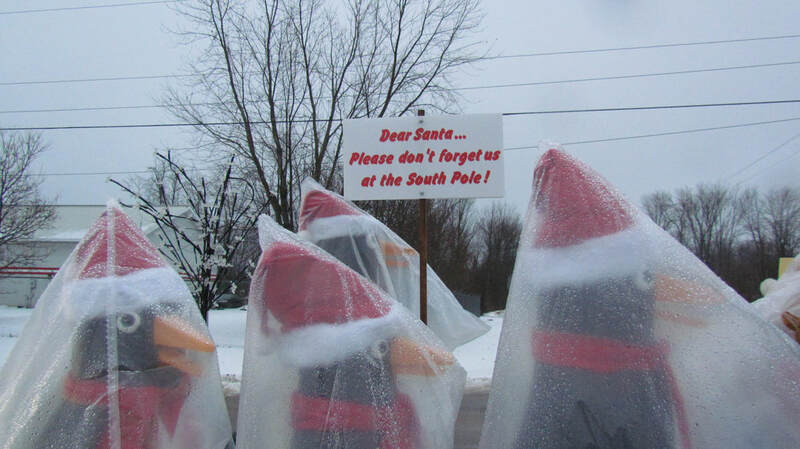 They all sport warm scarves for the trip and holiday Santa hats while riding in the parade. I hope they have a safe drive. Wrapped up for the trip to town. 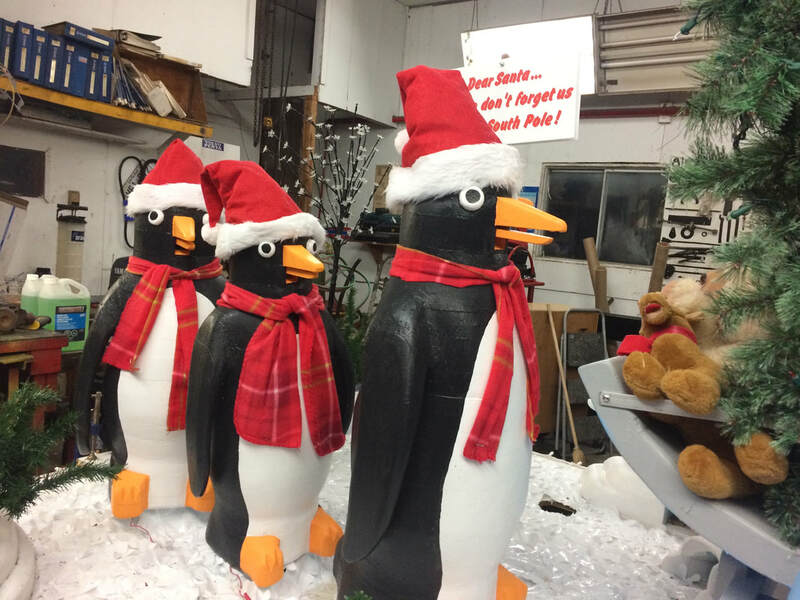 The waddlers, Patti, Shirley, and Maxime, unwrapped and ready to go! After the parade the girls relax a little. That's Uber in the drivers seat and Bouncer in the back. That's Rapper Winston Snowdrift with Uber driving in the front behind the hula girl hood ornament. Patti, Shirley, and Maxime, back in the shop drying out. 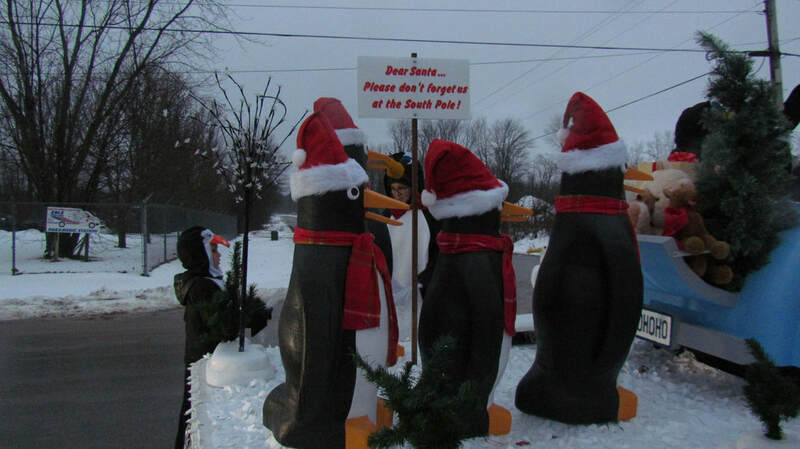 Waldo carries the sign reminding Santa to come to Antarctica! The gang rides in their cool blue continental roadster. Twister is in the back clutching his own Swedish Fish Candy. 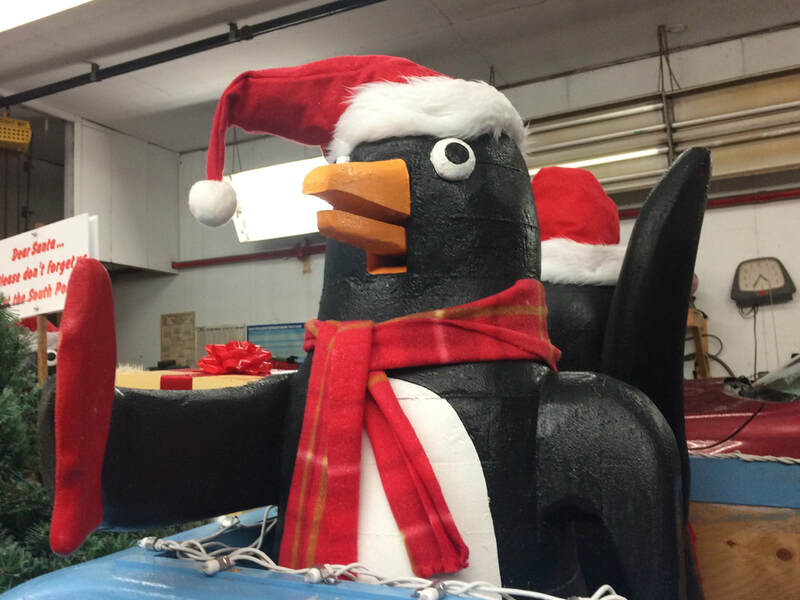 Click here to see the Making the Float Video!